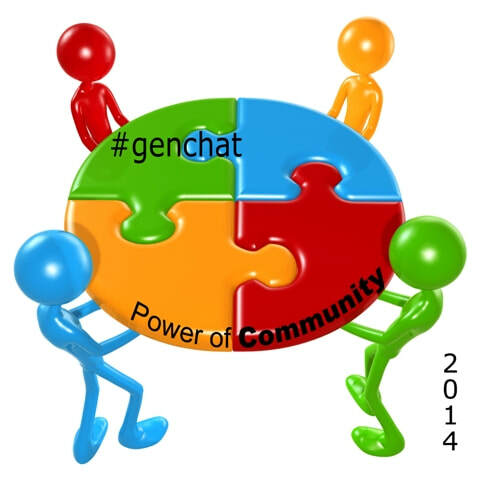 What in the world does this strange snack have to do with genealogy? To me, everything! 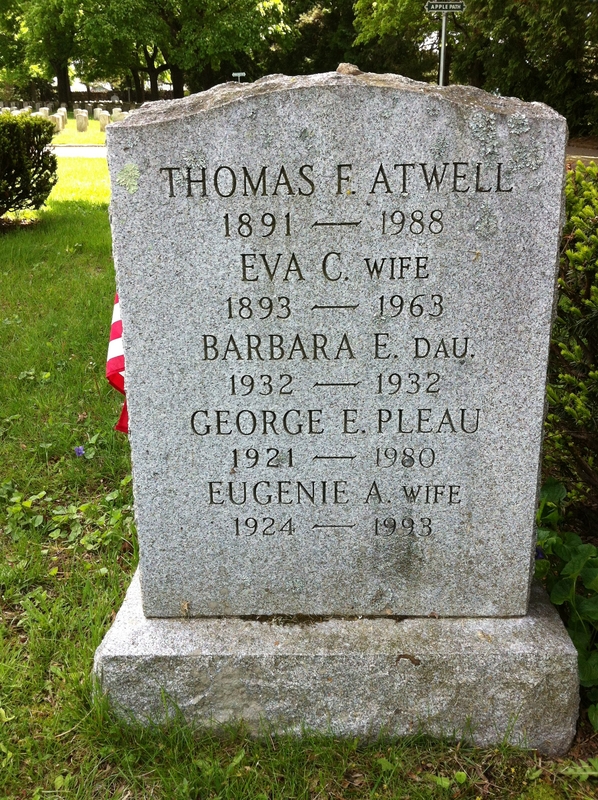 I was lucky to grow up knowing my great-grandfather, Thomas Francis Atwell I; in fact, I was 23 years old when he died (though sadly I did not see much of him after we moved away when I was 11). When we lived in Massachusetts, my family would often visit with Grampy Tom. 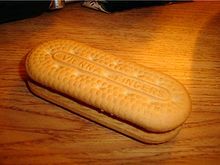 Inevitably, my sister and I would ask him for a snack and he’d give us what were probably the only sweets in the house: Vienna fingers and ginger ale. 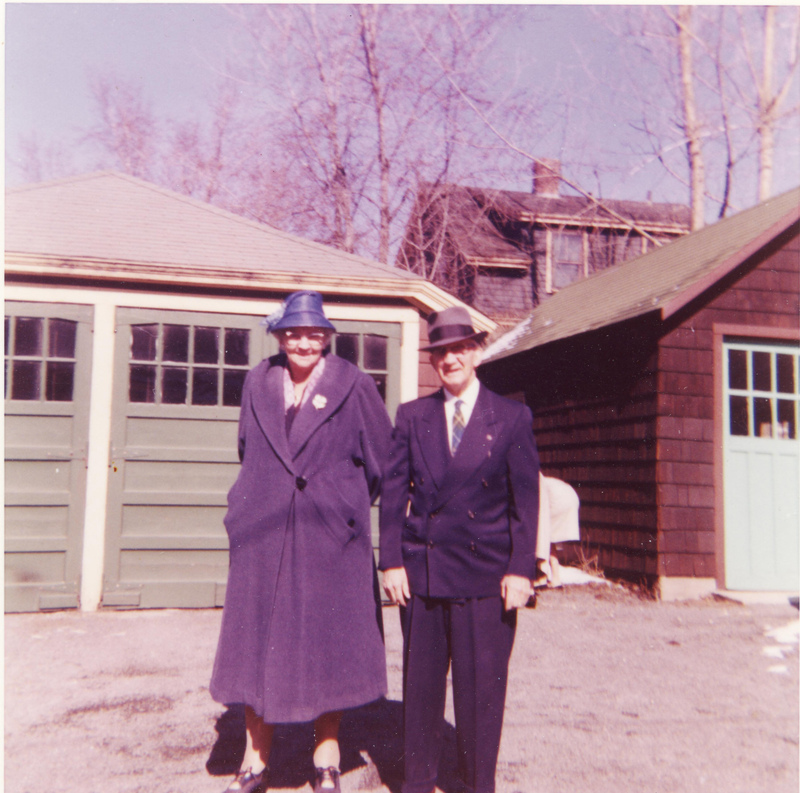 Grampy Tom’s house in Lynn was very small, only four rooms as I recall, but that was all he needed after the death of his wife, Eva (Lipsett) Atwell. Besides the kitchen (where the snacking occurred), we spent most of our time in the sparse living room. Grampy would always sit in a fanback Windsor chair (I don’t think it even had a cushion!) as he spoke with my parents. I don’t remember much of the decor, but I do know he had some pieces of the USS Constitution from when it was refurbished in the late 1920s. Grampy Tom was partly deaf; whether it was from age or some other reason, I don’t know. We always had to shout to be heard, and even then, it was difficult for him to understand (he never did get my youngest sister’s name right, despite numerous corrections). Another thing that made Grampy unique was the tattoo on his arm. I don’t even remember exactly what it looked like (an eagle? ), but I remember staring at it, wondering how old he was when he got it. If memory serves me correctly, he got it sometime during his navy years. 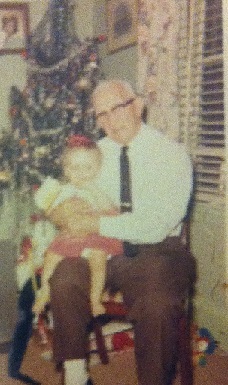 Me & Grampy Tom at my first Christmas. Author’s collection. I remember on one of our visits, my mom told me I should really listen to the stories Grampy Tom told; after all, he was in two world wars and he’d seen a lot of history! That sounded like a good idea to me. I liked stories! So I tried – I really tried to sit and listen. But I didn’t understand, and the little girl in me would rather go outside and play. How I wish that I could go back now and absorb some of the things he said! So now, nearly thirty years after his death, I have to satisfy my curiosity by searching for Grampy Tom’s stories as I’ve done for my other ancestors, as well as talking to the very few relatives left who knew him personally. 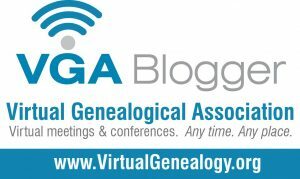 From here, we will look into my great-grandfather’s life, family and ancestors, based on my findings. In my last post we looked at the lines of Stephen and Hannah (Bass) Paine. In this post, I’d like to take a look at both sets of parents. In both cases, I’m not sure of their towns of origin in England (though there is some sketchy information on some online trees). Moses, born 1622/23; married Elizabeth ____; died December 15, 1690 in Boston. Elizabeth, born circa 1625, married Henry Adams of Medfield on November 17, 1643; both Elizabeth and Henry were shot in their own home by natives during King Philip’s War on February 21, 1676. Henry died immediately and Elizabeth died one week later (perhaps this event provided motivation for Stephen to serve his second stint during the war). Stephen, whose information can be found here. 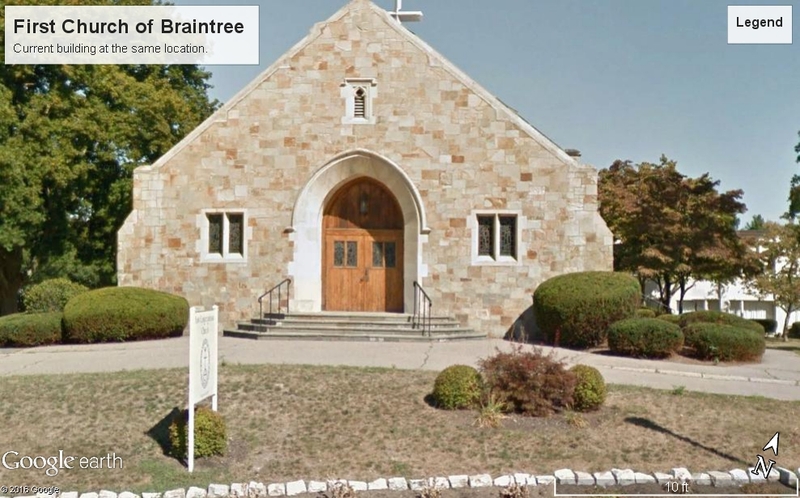 The Paine family immigrated from England and were living in Braintree by 1632. Over time, Moses also acquired land in Mendon, Cambridge, Concord and Piscataqua. In 1641 he became a freeman. I’m not sure of the date that Elizabeth passed away, but in 1642, Moses had re-married widow Judith (Pares) Quincy. On June 17, 1643, Moses made out his will, leaving Judith with a mere 20 shillings. The authors of the books I’ve read about this fact wonder why this could be. My guesses are perhaps Judith was already well off from her previous marriage, or perhaps Moses’ children had something to say about her inheritance. Regardless of the reason, Moses was close to death at the time of his will, for his date of burial was only four days later on June 21. Moses and Ann Bass (both born circa 1600) arrived in America about 1632, but first settled in Roxbury. They acclimated quickly, becoming members of the First Church of Roxbury under Rev. John Eliot, who would go on to become “the Apostle to the Indians”. They seemed to have the first two children – Samuel and Mary – in England. Their remaining children (John, Hannah, Ruth, Thomas, Sarah and Joseph) were likely born in Roxbury. (Unfortunately, I don’t have a lot of information on most of them.) On May 14, 1634, Samuel became a freeman. First Congregational Church of Braintree as it appears today. Courtesy Google Earth. Samuel’s position was prominent in civic matters as well. Between 1641 and 1664 he sat in twelve General Courts. He was also appointed for various causes, such as improving the town marsh, settling small legal matters, and looking into the building of a cart-bridge over the Neponset River. I even found that he and Moses Paine were among those who signed an acknowledgement of the sale of a schoolhouse by a Mr. Flint in 1648, so they certainly were acquainted with each other. Ann Bass died on September 5, 1693 and Samuel on December 30, 1964. His will indicates that he thoughtfully provided for each of his surviving children. Both Samuel and Ann are buried in Hancock Cemetery in Quincy, MA and their headstones remain there today. Continuing along the various maternal lines in my ancestry, we come to Sarah (Paine) Billings‘ parents, Stephen Paine and Hannah Bass. Stephen Paine was the youngest child and second son of Moses Paine (sometimes spelled Payne) and Elizabeth Sheafe. He was born in England sometime between 1626 and 1628, and the family had immigrated to Braintree, Massachusetts by 1632. In 1649, he became part of the Ancient and Honorable Artillery Company, as his older brother Moses had done. Hannah Bass was the second daughter and fourth child of Samuel Bass and Ann (whose maiden name is commonly thought to be Saville). She was born circa 1633; since it is believed that her family immigrated from England to Roxbury, Massachusetts about 1632, she was probably born in Roxbury. The family then moved to Braintree in 1640. Stephen, born March 8, 1652; married Ellen Veasey on February 20, 1682; died May 24, 1690 of smallpox. Samuel, born June 10, 1654; married Mary Penniman on April 4, 2678; died December 10, 1739. Hannah, born October 28, 1656; married late January 1673 to Theophilus Curtis; died April 1742. Sarah, born January or September 1, 1657; married Roger Billings, Jr. on January 22, 1697; died September 19, 1742 in Dorchester. Moses, born March 26, 1660; married Mary _____, circa 1688; died 1746. John, born August or September 21, 1666; married Deborah Neale on January 20, 1689; died 1706. Lydia, born 1670; married Benjamin Neale (Deborah’s brother) on either January or June 20, 1689 (might it have been a double wedding?). On the evening of [June] 29th which was spent skirmishing with the Indians, came Major Thomas Savage, accompanied by Captain Paige and sixty horse and as many foot, to take over the command of the Massachusetts forces. The force assembled at Swansea now numbered over five hundred men, and, at noon on the following day, leaving a small guard in the garrison, the little army, with Major Cudworth in command, crossed over the bridge, and, throwing out horsemen on the flanks to prevent an ambuscade, pushed on toward Mount Hope. Here and there, within the boundaries of the Indian country, they saw groups of empty wigwams and fields of corn, the smoking ruins of what had once been the homes of the settlers, and “Bibles torn in pieces in defiance of our holy religion,” while ghastly heads and hands stuck upon stakes bore witness to the fate of the occupants. But, while Philip’s wigwam was discovered and the trail of his warriors followed to the shore, not an Indian was to be seen. Throughout the day the rain had fallen steadily, soaking the troops to the skin, and as evening drew on the Plymouth men, passing over the strait, found shelter on the island of Rhode Island, but Major Savage, with the Massachusetts division, bivouaced in the open fields amid the storm. With the dawn came rumors that the Indians were in force near Swansea, and Savage, after laying waste the fields of growing corn, hastened back over the route of the day before, but though the force met many Indian dogs deserted by their masters, and saw at times burning dwellings, they came upon no Indians, and the infantry, tired and discouraged, made halt at Swansea. The cavalry, however, under Prentice, proceeded to scour the country towards Seekonk and Rehoboth, but discovering no trace of the enemy finally encamped for the night. The next morning Prentice, having placed a portion of his command under Lieutenant Oakes with orders to march parallel with the main force along another road in order to cover a wider extent of territory, set out on his return to Swansea. They had advanced only a short distance when they came in sight of a party of Indians burning a house. Prentice was unable to reach them on account of several intervening fences, but Oakes, continuing along the road, charged upon and put them to flight, killing several, among them Phoebe, one of their leaders, and losing one of his own men, John Druce. 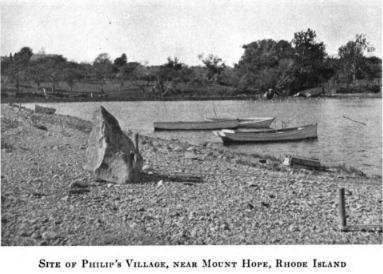 Information in the meantime had reached Swansea that Philip had been discovered at Pocasset, but Savage, instead of marching directly toward this point with his whole force, divided his command, sending Henchman and Prentice to scour the woods and swamps along the mainland, while he himself with the commands of Captains Paige and Moseley, marched down to Mount Hope. No signs of Indians were discovered at Mount Hope, and leaving a party to build a fort, despite the earnest entreaty of Church that the whole force should go over to Pocasset and drive Philip from cover, Savage again returned to Swansea. from “King Philip’s War” by George William Ellis & John Emery Morris; Grafton Press, New York; 1906; Google Books, 2007. Stephen went on to see all his children grow up and most get married. He finally died on July 29, 1691. Hannah re-married Shadrach Wilbur of Taunton in 1692. She predeceased him by two years in 1696.